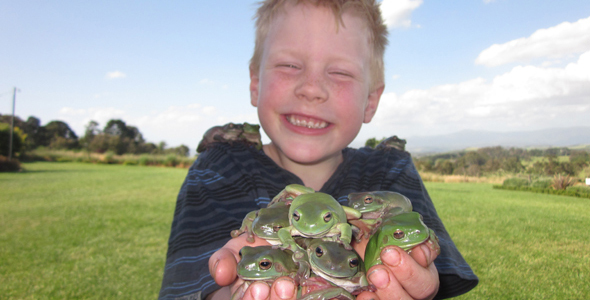 Suggestions to make your kids birthday party the best possible. Tips to make your next Birthday date even better! Where you can plan your next big kids day of party fun! Kids parties in Melbourne, useful tips to keep the children entertained? From experience, kids won't be settling down before they have entertainment at the party. If the entertainer doesn't arrive at the same time as the kids, then you may have little rascals destroying your house even before you have settled in yourself! In other words try to schedule the arrival of the entertainment at the same time as the kids. Uusually things happen so fast, that everyone arrives at much the same time and before the children get a chance to breathe, your entertainer is doing their work at keeping the children occupied. Yes, part of having a party with screaming young kids is a damage control exercise. You don't want them wrecking the place and if your kids are otherwise engaged, you are likely to have minimal damage to deal with. Time the food so it is ready as soon as the entertainment is finished so that it is a seamless transition. That way you again reduce the risk of the kids going feral and wrecking your venue, be it your house or someone else's place. If noisy kids are a problem, feeding them is the best part as when they are eating they are usually quiet. 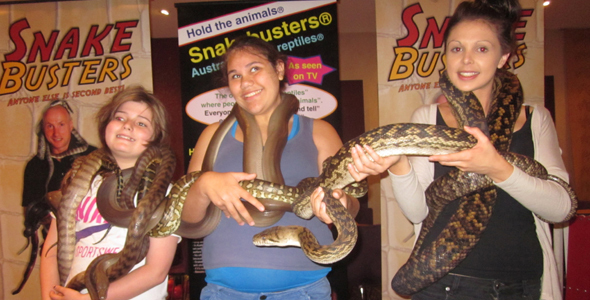 Reptile parties are one of the best ways to get Melbourne kids really excited! Most people are animal lovers, even if they don't admit it. 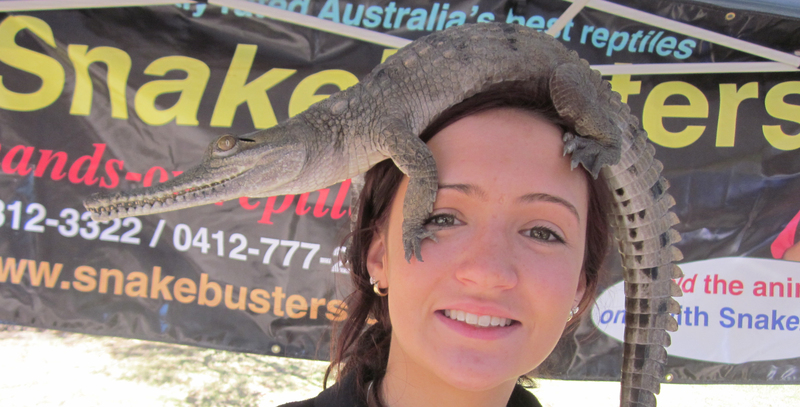 Australian native wildlife is even more popular than the domestic kind and both children and adults will be enthralled at the number and diversity of snakes, lizards, frogs, crocodiles and more that will turn up at a reptile party. The Snake Man Raymond Hoser trademarked reptile parties because he invented the modern concept in the late 1960's before they were banned in the early 1970's. 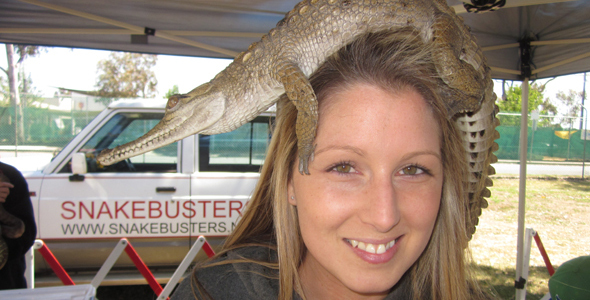 Of course this is significant as he has more experience with reptile displays than anyone else in the wildlife business in Australia. 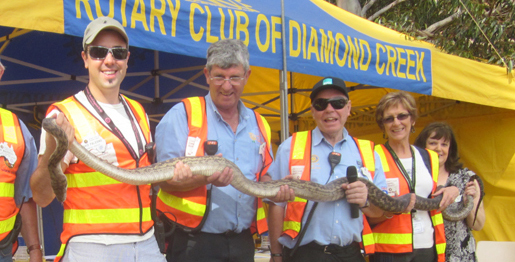 Also it's important to note significant differences to the real reptile parties by Hoser and his team versus those of less experienced outfits. ...Best of luck with your next kids party in Melbourne! Copyright 2012, Birthday parties in Melbourne, Victoria.